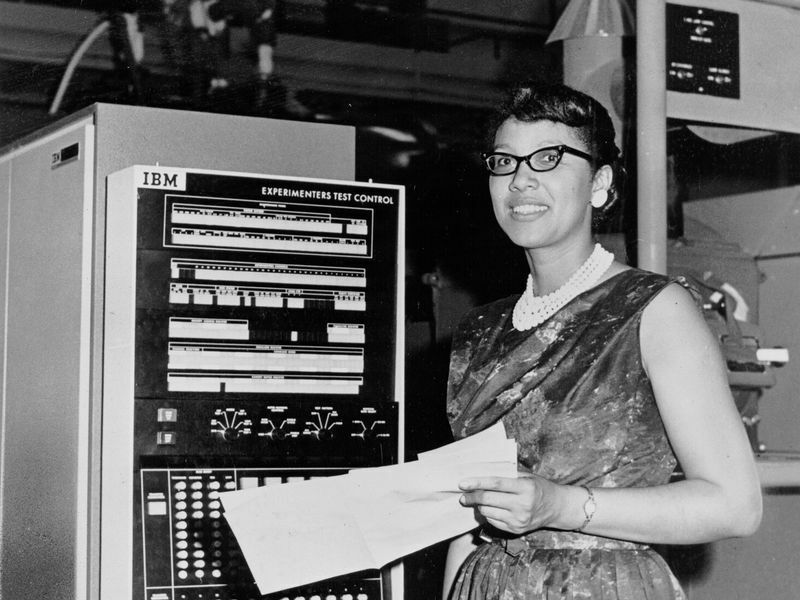 Many of these “computers” are finally getting their due, but conspicuously missing from this story of female achievement are the efforts contributed by courageous, African-American women. Called the West Computers, after the area to which they were relegated, they helped blaze a trail for mathematicians and engineers of all races and genders to follow. “These women were both ordinary and they were extraordinary,” says Margot Lee Shetterly. Her new book Hidden Figures shines light on the inner details of these women’s lives and accomplishments. The book’s film adaptation, starring Octavia Spencer and Taraji P. Henson, is now open in theaters. “We’ve had astronauts, we’ve had engineers—John Glenn, Gene Kranz, Chris Kraft,” she says. “Those guys have all told their stories.” Now it’s the women’s turn. Growing up in Hampton, Virginia, in the 1970s, Shetterly lived just miles away from Langley. Built in 1917, this research complex was the headquarters for the National Advisory Committee for Aeronautics (NACA) which was intended to turn the floundering flying gadgets of the day into war machines. The agency was dissolved in 1958, to be replaced by the National Aeronautics and Space Administration (NASA) as the space race gained speed. The West Computers were at the heart of the center’s advancements. They worked through equations that described every function of the plane, running the numbers often with no sense of the greater mission of the project. They contributed to the ever-changing design of a menagerie of wartime flying machines, making them faster, safer, more aerodynamic. 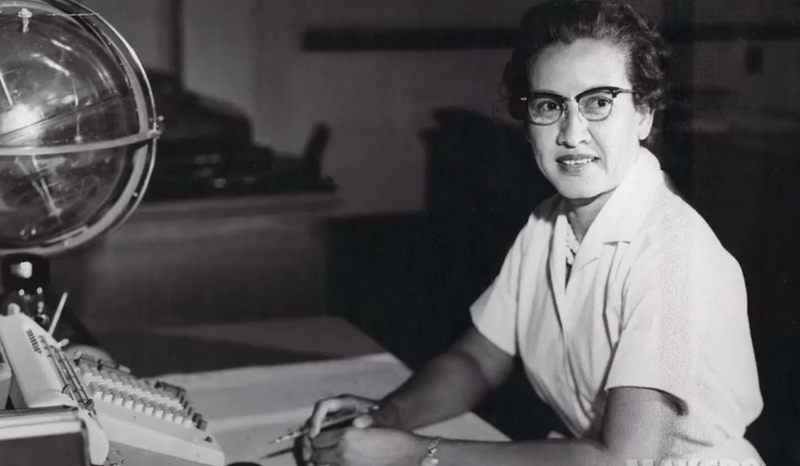 Eventually their stellar work allowed some to leave the computing pool for specific projects—Christine Darden worked to advance supersonic flight, Katherine Johnson calculated the trajectories for the Mercury and Apollo missions. NASA dissolved the remaining few human computers in the 1970s as the technological advances made their roles obsolete. The first black computers didn’t set foot at Langley until the 1940s. Though the pressing needs of war were great, racial discrimination remained strong and few jobs existed for African-Americans, regardless of gender. That was until 1941 when A. Philip Randolph, pioneering civil rights activist, proposed a march on Washington, D.C., to draw attention to the continued injustices of racial discrimination. With the threat of 100,000 people swarming to the Capitol, President Franklin D. Roosevelt issued Executive Order 8802, preventing racial discrimination in hiring for federal and war-related work. This order also cleared the way for the black computers, slide rule in hand, to make their way into NACA history. Exactly how many women computers worked at NACA (and later NASA) over the years is still unknown. One 1992 study estimated the total topped several hundred but other estimates, including Shetterly’s own intuition, says that number is in the thousands. The spark of curiosity ignited, Shetterly began researching these women. Unlike the male engineers, few of these women were acknowledged in academic publications or for their work on various projects. Even more problematic was that the careers of the West Computers were often more fleeting than those of the white men. Social customs of the era dictated that as soon as marriage or children arrived, these women would retire to become full-time homemakers, Shetterly explains. Many only remained at Langley for a few years. She scoured telephone directories, local newspapers, employee newsletters and the NASA archives to add to her growing list of names. She also chased down stray memos, obituaries, wedding announcements and more for any hint at the richness of these women’s lives. “It was a lot of connecting the dots,” she says. Langley was not just a laboratory of science and engineering; “in many ways, it was a racial relations laboratory, a gender relations laboratory,” Shetterly says. The researchers came from across America. Many came from parts of the country sympathetic to the nascent Civil Rights Movement, says Shetterly, and backed the progressive ideals of expanded freedoms for black citizens and women. But life at Langley wasn’t just the churn of greased gears. Not only were the women rarely provided the same opportunities and titles as their male counterparts, but the West Computers lived with constant reminders that they were second-class citizens. In the book, Shetterly highlights one particular incident involving an offensive sign in the dining room bearing the designation: Colored Computers. The women fought many more of these seemingly small battles, against separate bathrooms and restricted access to meetings. It was these small battles and daily minutiae that Shetterly strove to capture in her book. And outside of the workplace, they faced many more problems, including segregated busses and dilapidated schools. Many struggled to find housing in Hampton. The white computers could live in Anne Wythe Hall, a dormitory that helped alleviate the shortage of housing, but the black computers were left to their own devices. The book and movie don’t mark the end of Shetterly’s work She continues to collect these names, hoping to eventually make the list available online. She hopes to find the many names that have been sifted out over the years and document their respective life’s work. The few West Computers whose names have been remembered, have become nearly mythical figures—a side-effect of the few African-American names celebrated in mainstream history, Shetterly argues. She hopes her work pays tribute to these women by bringing details of their life’s work to light. “Not just mythology but the actual facts,” she says. “Because the facts are truly spectacular.